Ride Smart motorcycle school provides structured classroom outlines that are followed up by on track mentoring. Their instructors and associates are professionals to the highest degree. The goal of Ride Smart is to provide a safe controlled learning environment where every one can have fun and learn to be faster, safer, and smarter. The best mechanics and prices in town. For service that can't be beat stop by Cycle Werkz. Tell them FWMR set you. Freedom PowerSportsis centrally located in the mid cities of DFW in Hurst Texas. Items on hand consist of pre-owned bikes, ATV�s, and PWC�s at rock bottom prices. They have wall to wall parts and accessories, for all makes and models. They also carry on and off-road riding and casual apparel and has a full blown service department for all your service needs. They specialize in previously loved Harley Davidson�s, but still have all makes and models as well. No need to pay top dollar for new bikes when you can get a gently used pre owned one. The store offers extended service and preventive maintenance contracts. 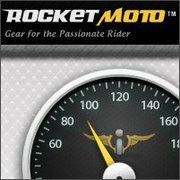 RocketMoto.com is America's premier destination for powersports electronics, communications, performance and aesthetic lighting, hi-tech suspension upgrades and more. They have intimate knowledge of the products they offer, and with motorcycles both vintage and modern. They will help demystify things for you, so that it'll all work the way you expect! They are delighted to offer FWMR exclusive member's-only discounts and group purchase opportunities. Visit them online, Rocket Moto or call toll-free (877.533.4245) with any questions that you may have.